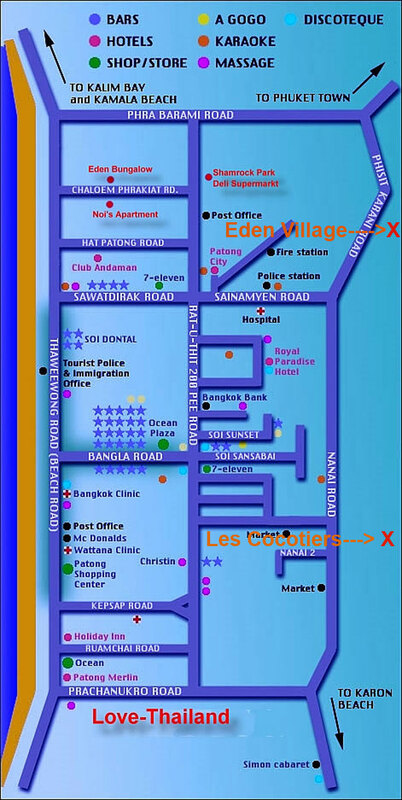 Les Cocotiers Residence is located in Patong Beach, in a residential area, quiet and close to the city center, Jungceylon Mall and the beach. All Two Rooms Apartments have larges balconies with a wonderful view on the mountains, the garden or the pool. 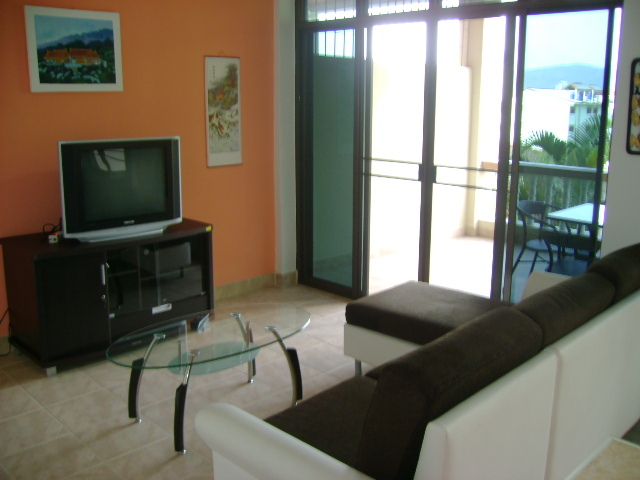 The apartments are full furnished and well equipped. They are rented per month or year (from 16,000 Baht per month). On holiday all year round! 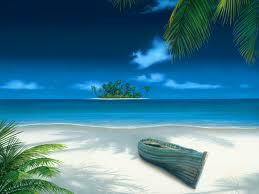 The island of Phuket, known as the Pearl of South East Asia, receives more than 18 million tourists a year. Phuket is the first tourist destination in all of Asia. Patong Beach is the most famous and most popular city of Phuket. Entertainments are numerous and adapted to family life and children. Patong Beach have a nightlife with many attractions. A lot of restaurants, bars and discos are available for tourists. .
Patong Beach is also a lot of sports, diving, snorkeling and daytrips. (From 16,000 Bahts per month). Les Cocotiers Residence is located in the district of Nanai Road, on the most popular city for tourists: Patong Beach in Phuket Island. The residence is surrounded by nature and very quiet on the side of a wooded hill rubber and tropical trees. It is equipped with a swimming pool, Jacuzzi and includes a security service and cleaning. 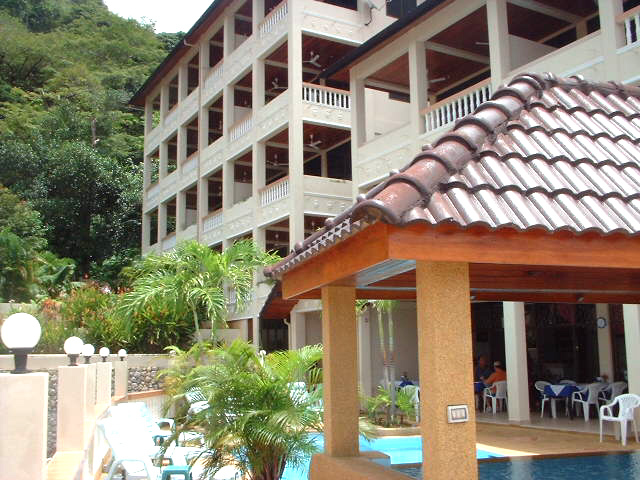 Each large balcony of the 16 apartments overlooking the town of Patong. 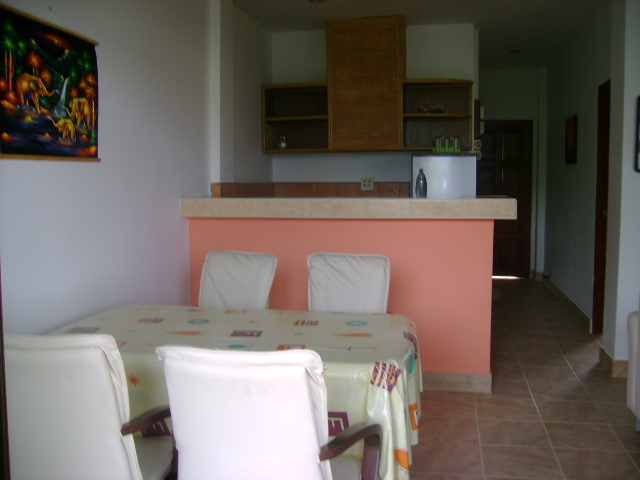 The apartments includ 2 rooms and are composed of: living room, 1 bedroom, Kitchenette, 1 bathroom and a 18sqm of balcony. 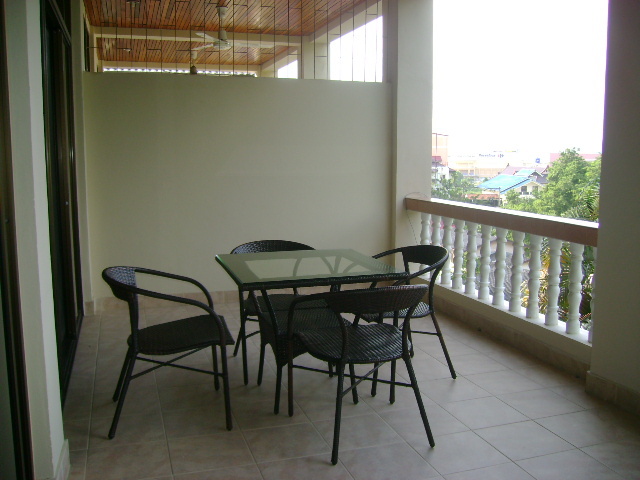 The residence is near the center, 300 metres from Jungceylon mall and 800 sqm from the beach.